I’m so sorry I have been so MIA the past few days! I’m back with more of my favorites for the Nordstrom Anniversary sale which is now open to everyone! If you haven’t taken a look yet, hurry, because things are selling out quickly! Today I’m giving y’all my favorite accessories and I’ve included some things that I love for guys as well. Click any photo to shop! I love these sunglasses! They are such a great shape and would look good on many different face shapes. I love the coloring as well! Reviews says they run a little narrow, so if you have a wider face, but take note of that. These necklaces are so sweet! At only $30 they would make great gifts! They would be perfect for a bridal party or for a new mom with the initial of the baby. I love this bag for work. It is at such a great price point and is very spacious. You can fit tons in this bag, including a laptop (13 in). These earrings are STUNNING! They would be so gorgeous to dress up an outfit for a wedding or special event. Imagine these on New Years! Too soon? Oops. This hat is so fun and very much one of the items in the sale that you can wear now and later. How cute would this be on the beach and then later in the year at a tailgate? I love the leather detailing and the color. I think this watch is so pretty! I normally don’t love Tory Burch products, but this watch is perfection. I love the two toned metal and the white face. 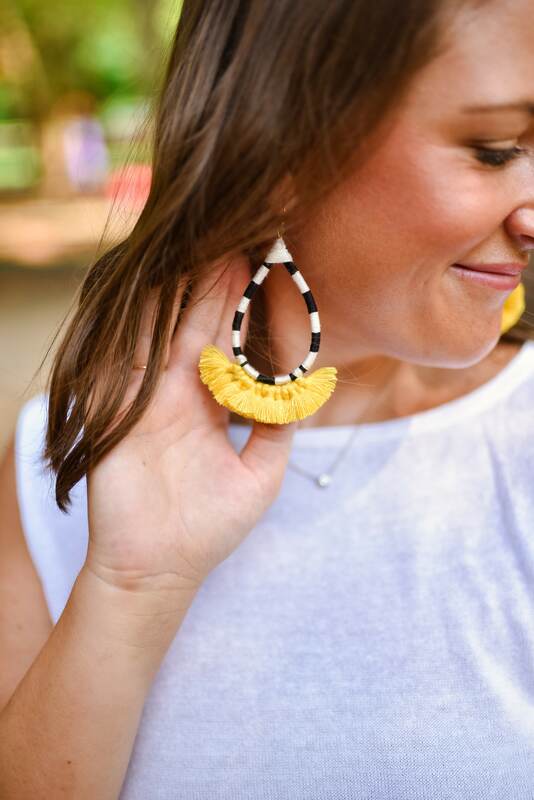 The colors in these earrings are so pretty and could go with almost anything! These could so easily be dressed up or dressed down in summer and into fall. So versatile and at a great price point! I picked out a few of my favorites for guys too! Later this week I’m going to finish out my Nordstrom sale picks with some of my favorite home items. The sale ends on the 5th and things are selling out quickly. If you want something now, don’t wait! Happy shopping!